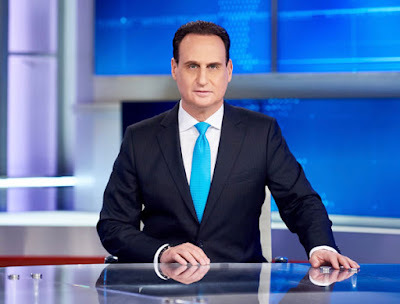 Noticias Telemundo presents the special program “Los Dreamers y Trump, la hora de la verdad,” hosted by Noticias Telemundo anchor José Díaz-Balart, broadcasting on Sept. 5 at 8 p.m. ET/9 PT. The special will coincide with the deadline for the White House to announce its position on the Deferred Action for Childhood Arrivals (DACA) policy, following the threat of legal action by Texas and nine other states. The White House decision will serve as the starting point for a comprehensive analysis of the potential consequences for undocumented workers around the country, featuring exclusive stories from those impacted by these policies, along with policy and immigration experts. “Los Dreamers y Trump, la hora de la verdad” will also be available on NoticiasTelemundo.com, the Noticias Telemundo social networks on Facebook and YouTube and the Noticias Telemundo mobile app. “Los Dreamers y Trump, la hora de la verdad” will offer a kaleidoscope of reports about Latino immigrants in the United States, whether dreamers, deportees or the beneficiaries of pardons, who are facing problems such as racism and divided families. A series of immigration and policy experts will add their voices to those of the individuals featured to address the issues in all of their dimensions. “Los Dreamers y Trump, la hora de la verdad” is the seventh news special Noticias Telemundo has presented as part of the series “Las cosas como son” (“The Way It Is”) following the election of President Donald Trump.